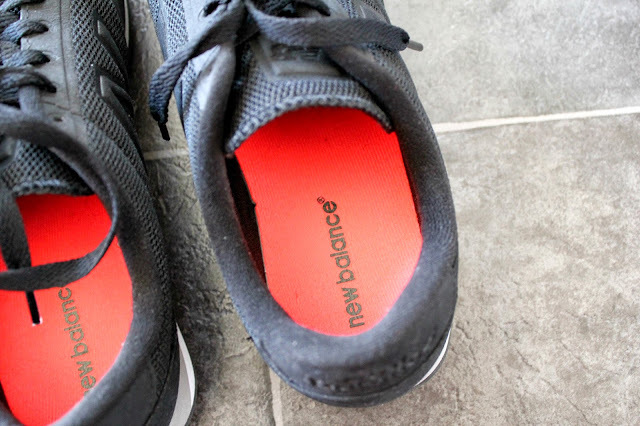 For a while now, I've been wanting a decent pair of trainers, and I've never quite found a pair I loved (being the fussy buyer I am), and I've often been known to spend hours trawling the internet to find a pair - even making a few orders and returns along the way. 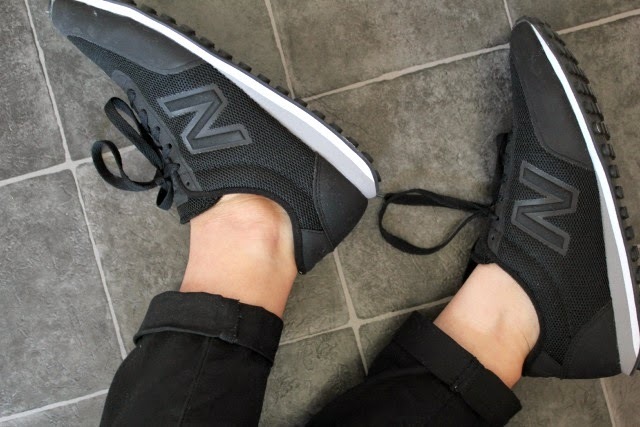 I'd seen the New Balance 410 style around and liked them a lot, but never wanting much colour I just waited, until I found these Black Sonic ones on ASOS. I kept sending screenshots to my friends, and eventually I caved. They are all black, apart from the white and grey sole, and are mesh with suede look panels, and I am in LOVE. Seriously, it is £60 very well spent. The fit is amazing as is the comfort of them, but I would add that I usually fit a UK size 5 but after some research I went for a 6 instead as apparently they come up a little small - and the 6's were a perfect fit. I must admit, I do also love the neon coral lining on the inside of the shoe. I'd been looking for trainers that I could use to workout and to style in outfits, and these fit that category perfectly. They aren't your Nike Free 5.0s by any means, and they probably aren't major running shoes, but for workout DVD's in the house (my personal favourite), they fit the bill.